From Academy Award nominee M. Night Shyamalan, and based on Blake Crouch’s bestselling books, comes the pulse-quickening supernatural event series of the year! After a car crash he can’t remember, Secret Service Agent Ethan Burke (Oscar Nominee Matt Dillon) wakes up in a hospital in a strangely idyllic mountain town in Idaho. 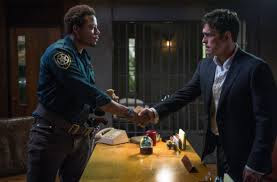 But the more Ethan tries to find out what happened to him and to two missing fellow agents, the more he discovers that nothing is as it seems in Wayward Pines. Desperate to learn the truth and return to his family, Ethan eventually unveils a terrifying secret that affects all of mankind in this thrill-a-minute series also starring Oscar nominee Terrence Howard and Oscar winner Melissa Leo. 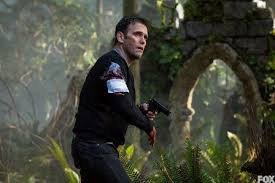 When Secret Service Agent Ethan Burke (Matt Dillon) wakes up in Wayward Pines, he is unaware of the rules. He is also unaware of where he is or his name. With a little bit of time his name will return to him but the disorientation remains. 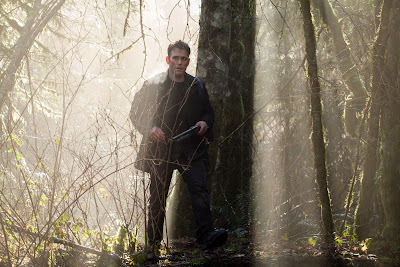 The people of Wayward Pines are friendly but soon it becomes clear that they live in fear. Their actions are monitored, their movements are tracked and they are publicly executed (known as reckoning) when they break the rules. Agent Burke learns that everyone who came to Wayward Pines was first in an accident, just like he was. He also sees familiar faces amongst the strangers. To tell you anymore about the plot would certainly spoil the middle and the ending. Knowing that M. Night Shyamalan is attached to the project might lead you to expect a twist ending. There is a big twist but that was decided before Shyamalan was on board. Basically the entire show takes a new direction midstream. I really liked where the show was going, so that was a little disappointing to me. There are also a few elements that never got explained. I still enjoyed the show even in the direction it took. I can certainly say I didn’t see it coming. 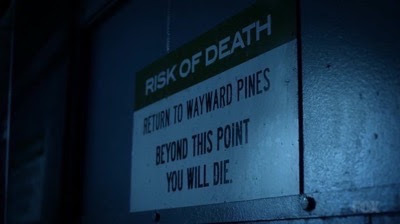 I thought I knew exactly what was going on in Wayward Pines and I was wrong. It’s weird, strange, and creepy but not always in the ways you’d expect. If you are at all curious about the show I recommend giving it a try. I will take a little time away from it, but even though I know the twist I will re-watch from start to finish. I bet that while re-watching the show I’ll pick up on many small details that I missed the first time around. 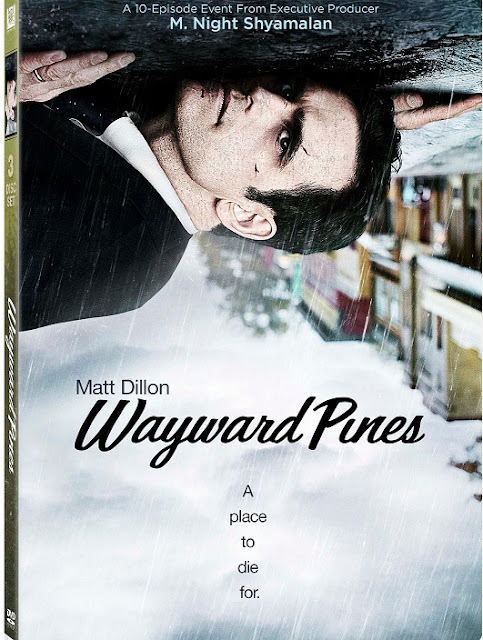 "Wayward Pines" is presented on three dual layer DVDs in a widescreen 1.78:1 ratio. Although only on DVD, the show looks pretty good. In the daylight, fine detail shows that the town is clean and fairly new. Pilcher’s office shows a lot of texture and detail. Parts of the show are in a dark forest where detail and clarity are not lost. Skin tones are even and accurate and monster effects appear authentic. My only true complaint is the lack of realism in the black sand that fills up the stasis pods. The Dolby Digital 5.1 sound is sufficient for a dialogue driven television show. You don’t get the directionality you’d hope for with the things that go bump in the night. But what you do get is well balanced and appropriate for DVD. 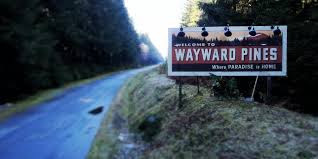 Where Paradise is Home: A Wayward Pines Style Guide (8:59) – Interviews and a look behind the scenes including production design, costumes and attention to detail. Creating a Mythology (9:56) – Inspiration, M. Night Shyamalan’s vision, the books and some discussion of the story changing genre. 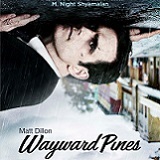 "Wayward Pines" wasn’t the show I’d expected. I thought I was getting a straight forward story about a pleasant town that has a dark secret. I never read the books, or read anything about the books. I realize that would have given me a clue. It’s too bad the story didn’t go the way I’d hoped, but I enjoyed it nonetheless. The DVD set contains very limited special features and adequate but not exceptional audio and video quality. I do plan to revisit the 10-episode event after a short break and recommend giving it a chance if you are a fan of any of the primary actors. Recently, the Producers stated that a second season would be possible and I would certainly watch that and hopefully it would explain a few of the loose ends that didn’t get fully explored.